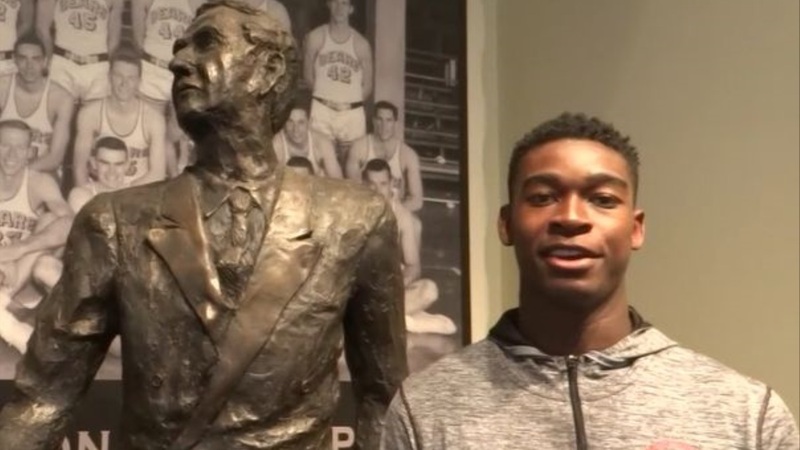 Today, we continue our video interview series with Cal's new freshman class, with former 4 star Heritage Christian (Northridge, CA) High School guard Juhwan Harris-Dyson. Of the six freshman newcomers, all but point guard Darius McNeill arrived at Cal in June for Summer Bridge, with McNeill following in August after changing his commitment in May from Iowa State and waiting for a release and clearance from Cal. "My transition's gone pretty smooth," said Harris-Dyson. "I feel like all the guys have welcomed me." The transition was made easier with close friend and former teammated Deschon Winston joining him in Cal's 2017 recruiting class. "I consider him like my brother, somebody that I can confide in," said Harris-Dyson. As for the rest of the class? "We've gotten pretty close," said Harris-Dyson. "We've hung out probably every day, whether it's in the gym on the court, doing homework or just kind of lounging around and watching Netflix or something." Harris-Dyson averaged a solid 20.1 points, 9.6 rebounds and 3.4 assists per game for his 20-10 Heritage squad his senior season. Each of the players have talked with enthusiasm about the results they're seeing under new strength and conditioning coach Jordan Jackson since they've been in the program and Harris-Dyson is no exception, coming in at 192 lbs and currently at 200. "I can see it in everybody. Everybody's starting to bulk up and add muscle," said Harris-Dyson. "We're excited to become a more-conditioned team."